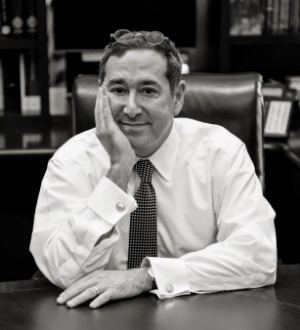 Attorney Steven Peskind is recognized as one of the best attorneys in the nation. Throughout his career, he has been trusted by politicians, judges, professionals, business owners, and business executives (as well as their spouses) to discretely and professionally represent them in family law matters. Mr. Peskind brings a high level of expertise and experience to all cases he accepts. His courtroom advocacy skills are unsurpassed; so much so that he is trusted by the National Institute of Trial Advocacy to teach its students, who are also lawyers, how to effectively try divorce cases. Steven Peskind’s skills have been recognized nationally and internationally. In 2015 the prestigious American College of Family Trial Lawyers elected him as a Diplomate. The American College is limited to the top 100 family law trial lawyers from across the United States. Mr. Peskind is one of only 5 Diplomates located in Illinois and the only Illinois Diplomate whose primary office is outside Chicago. The American College brings together top trial lawyers in America practicing sophisticated and complex family law matters both domestically and abroad. Diplomates, all members of the American Academy of Matrimonial Lawyers, are chosen based upon their recognized litigation skills and courtroom abilities. Mr. Peskind has also been invited to membership of the International Academy of Family Lawyers, which allows him contacts and resources in the international family law community. Mr. Peskind is also recognized on a statewide level. In 2015, Best Lawyers honored Mr. Peskind by naming him family lawyer of the year in Chicago. The Leading Lawyers Network has designated Mr. Peskind as a Leading Illinois Lawyer since 2003 and Super Lawyers has recognized him as a Super Lawyer since 2008. Peskind Law Firm is rated by US News and World Report as a Tier One Family Law Firm, the highest rating available.